The Star Wars ride-on that will blow up kids’ holiday wish lists. Parents…get ready. If you…oh. 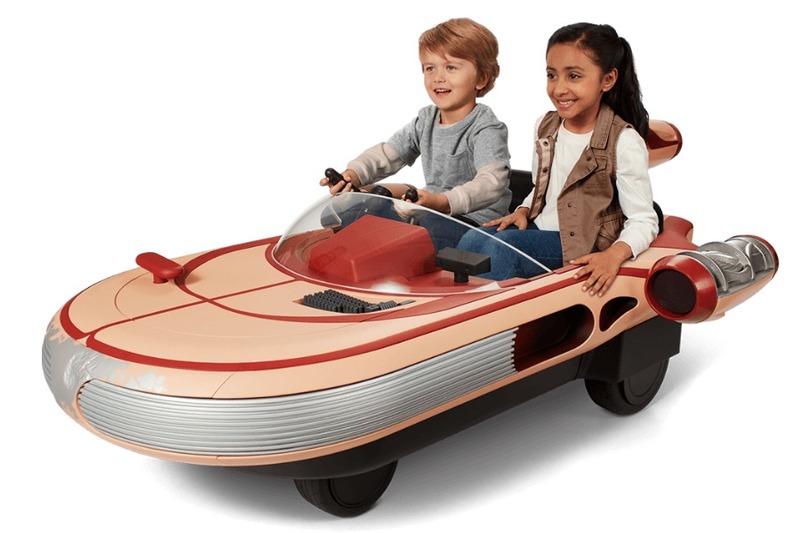 I mean, if your kid (ahem) ever wished they could zip around on Luke Skywalker’s Star Wars X-34 Landspeeder, that wish is about to be granted. Thanks to the help of Radio Flyer, Lucasfilm, 12v rechargeable battery power — and of course, some incredibly generous parents or grandparents. The ultimate dream, Galactic Civil War-era ride-on in convenient toy form is available now for preorder, for a September 5 launch date (oh hai, early holiday shopping!). And I’d say do it. Because I think a whoooole lot of kids will have this at the very top of their holiday wish lists this year. No offense to Barbie Jeeps. Plus, you don’t want to pay double the galactic credits to eBay scalpers in a few months. 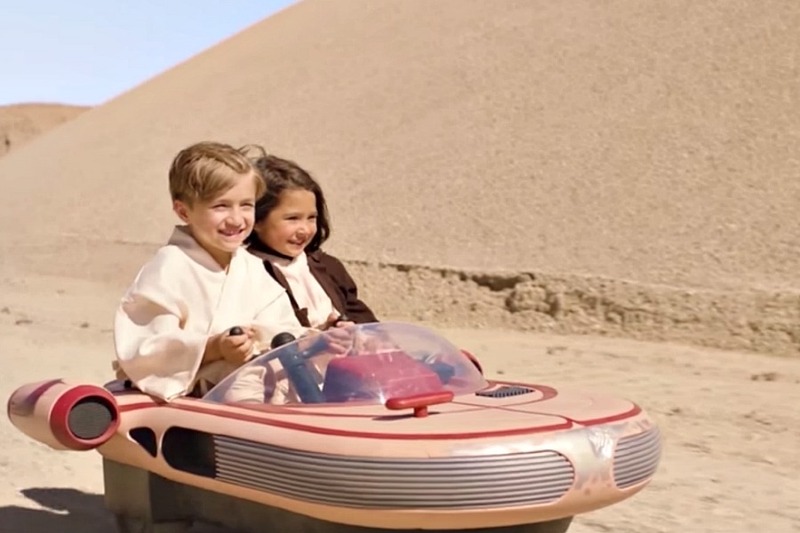 With an gorgeous design including an interactive dashboard with lights and SFX from the film, two kids at a time can zip around Tatooine (that’s, your sidewalks) at a speedy 5 MPH. It only holds weight up to 130 lbs, so Wookiees will have to find their own transport. Also note that there’s no actual hover capabilities; but as a mom I am 100% totally okay with that. 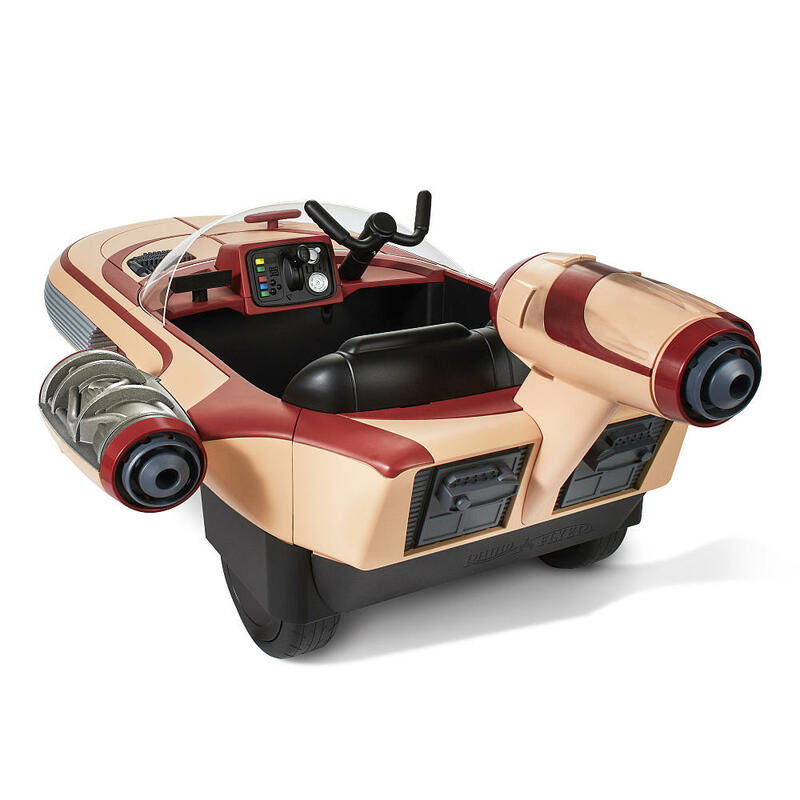 Check out Radio Flyer and the cute landspeeder ride-on video and you’ll get a pretty good idea of the capabilities of the new Luke Skywalker’s Star Wars X-34 Landspeeder. Preorder now exclusively at Toys R Us for a September 5 ship date Or of course, a date of your choosing in late December. I hear you Julie! I’m guessing though since it’s Luke’s Landspeeder, they were recreating the Star Wars IV scene with Luke driving. That still wouldn’t stop our girls from getting one. That said, let’s put out a call for a REY’S LANDSPEEDER! It looks a little different because she had to make it herself from scavenged materials (because she’s awesome).